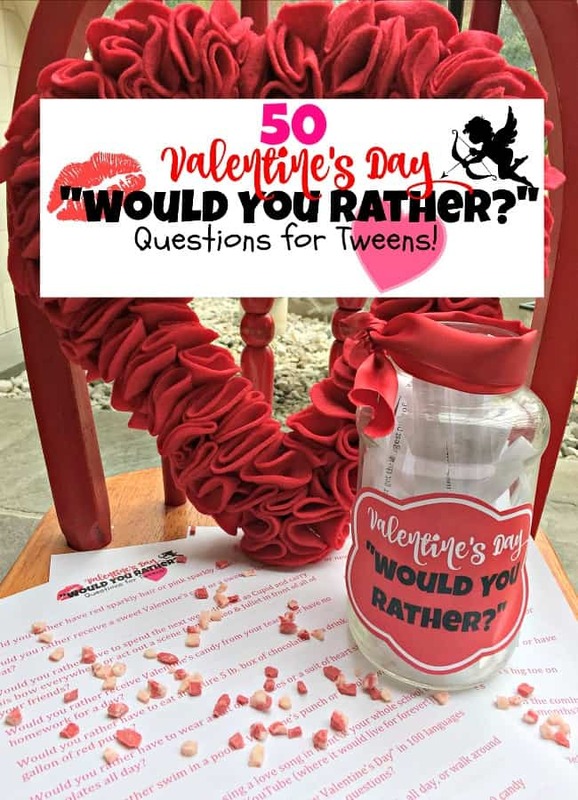 These Valentine's Day Would You Rather questions, part of our collection of fun party games for kids, are specially designed with tweens in mind and are perfect for classroom parties, club meetings, and sleepovers! Even though these questions are Valentine's Day-themed… you won't find any questions about crushes or dating or kissing (unless you count the questions about kissing a frog!). Not all tweens have crushes- so these are designed to be fun for everyone! 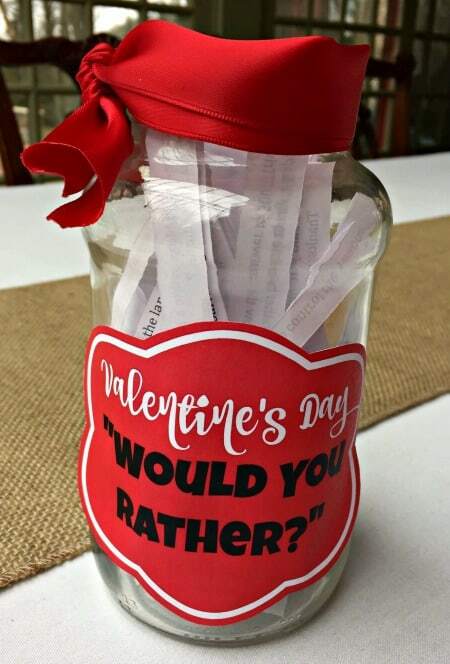 I added the Valentine's Day Would You Rather label to the jar using my scrapbook roller adhesive This is an affiliate link: MomOf6 earns a commission if you purchase, at no additional cost to you. . And a pretty red ribbon- just because! 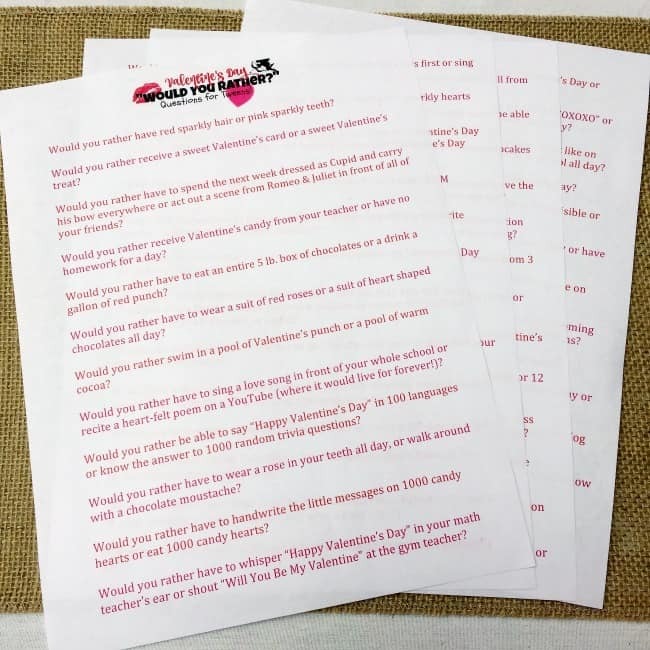 Valentines Day Games: Free Printable Charades/Heads Up! Game for Kids! « Not Sure Where to Begin? Here Are 6 Steps to Help You Start to Organize Your Life! I wasn’t sure where to share IP recipes with you (from your latest email), so I sent you a message via Pinterest. I also have an IP board.